don't end your experience without clean hair! enjoy our tea tree and kelp shampoo and conditioner half off! Tie it all together with a refreshing cleanse with our tea tree & kelp shampoo and conditioner for half the regular price! 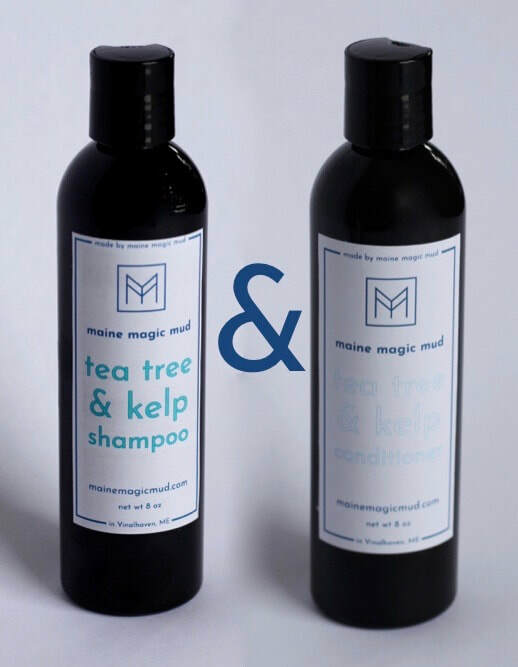 One of our all star products even included in our exclusive subscription kit our shampoo and conditioner leans on the natural and wholesome benefits of kelp and tea tree to bring you a refreshed and moisturized feel! Thank you so much for checking us out! Click the cart in the top right when you are ready to check out, or click the button below to continue shopping!